Aric Almirola started 11thand finished Stage 1 in the seventh spot to earn four stage points. Through the first two green-flag runs, Almirola reported he was “getting hurt” on the restarts because of starting on the inside lane and competitors against the door of the No. 10 machine. On lap 27 Almirola pitted during the competition caution for fuel and two right-side tires. He restarted 11th and worked his way up to the seventh spot on lap 53. The Tampa native pitted at the conclusion of the stage for four tires and fuel. Almirola came down pit road in seventh and came out 12th. Almirola started Stage 2 in 12thand completed it eighth to earn three bonus points. During the fifth caution on lap 75, Almirola pitted from ninth for fuel, two right-side tires and adjustments. He restarted 16thafter different pit strategies played out. The caution was displayed on lap 85; Almirola stayed out on the track and restarted 11thon lap 87. The balance of the stage was under the green flag, and Almirola ultimately completed it in eighth. Before the start of the final stage, Almirola visited pit road for fuel, four tires and adjustments to his Smithfield Ford. Almirola started the final stage in the seventh position and ended it 25th. The eighth caution was on lap 134. Almirola stayed out and restarted seventh on lap 143. The 34-year-old made a scheduled green-flag pit stop on lap 172 for fuel and four tires. The remainder of the event ran under green, and Almirola finished seventh. This was Almirola’s 10thtop-10 of 2018. 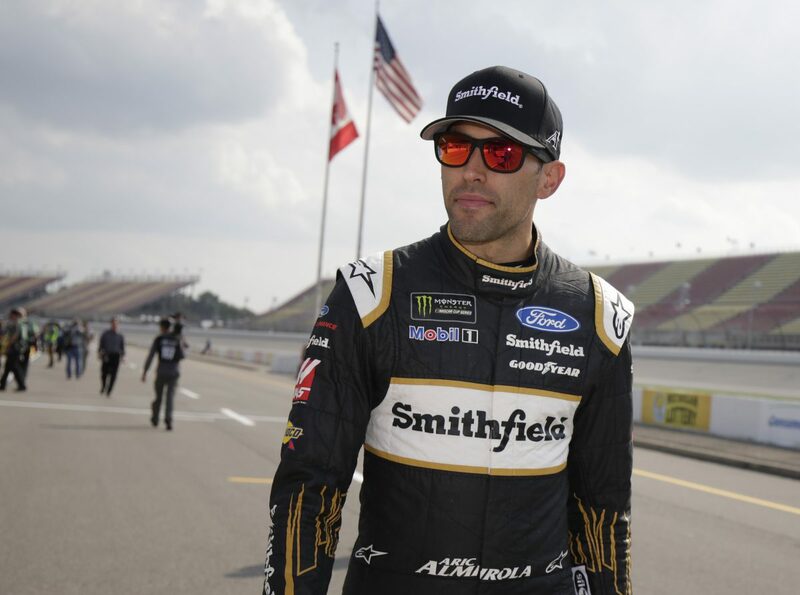 Almirola earned his first top-10 in 13 career Monster Energy NASCAR Cup Series starts at Michigan. Almirola finished seventh in Stage 1 to earn four bonus points and eighth in Stage 2 to earn an additional three bonus points.